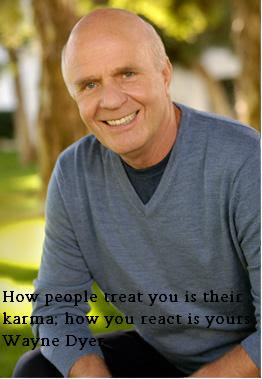 Wayne Dyer is an American self-help author. If you are searching for inspirational Wayne Dyer quotes and sayings, now you don't need to search for them anymore. As here I have compiled down some of the motivating and inspirational Wayne Dyer quotes. Just hope you will find this quote compilation helpful and able to find your favorite Wayne Dyer quotes. activity of worrying keeps you immobilized. talk about them as if they do.